Margarete Sommer studied philosophy and economics in Berlin, gained her doctorate in 1924 and worked as an instructor at several of the newly founded welfare colleges. From 1927 on she taught at the Social Welfare Institute of Pestalozzi-Fröbel House in Berlin. In 1934 when she refused to teach about the National Socialist sterilization law in her classes, she was forced to resign. 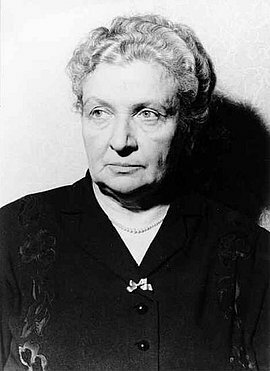 From 1935 on Margarete Sommer worked at the Episcopal Diocesan Authority in Berlin and counselled victims of racial persecution at Caritas Emergency Relief. In 1939 she became diocesan instructor for the ministry for women and in 1941 she also became managing director of the Welfare Office of the Berlin Diocesan Authority in Berlin under the charge of Cathedral Provost Bernhard Lichtenberg, and after Lichtenberg’s arrest in October 1941, under Bishop Konrad Graf von Preysing. In this capacity Margarete Sommer coordinated Catholic aid for victims of racial persecution, who were supported with spiritual comfort, food, clothing, and money. Margarete Sommer gathered information on deportations, the living conditions in concentration camps and SS firing squads. From 1942 on she wrote several reports on these topics. One report reached Rome in August 1942 under the title “Report on the Exodus of the Jews”. Margarete Sommer survived the war. After 1945 she continued her work at the Episcopal Diocesan Authority in Berlin, giving help to survivors of National Socialist persecution.